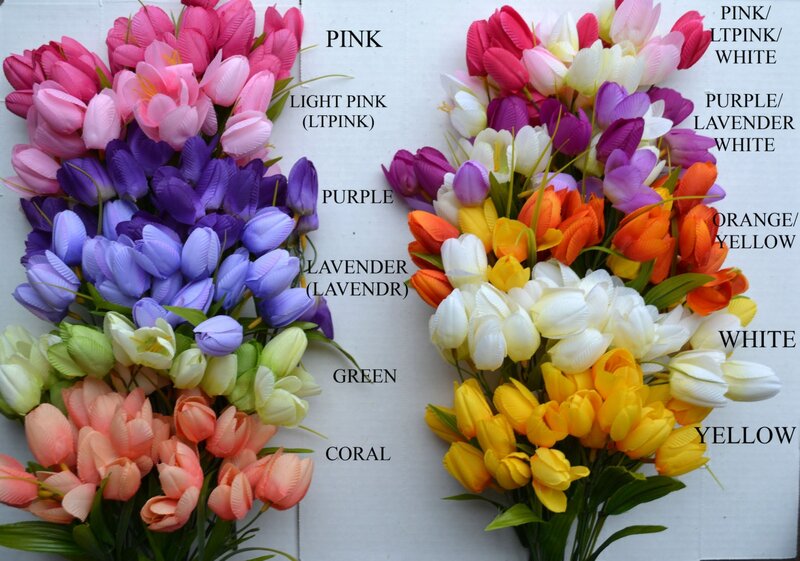 The color combination of the wreath pictured is light pink/yellow/white. Customize your wreath by following the steps below. 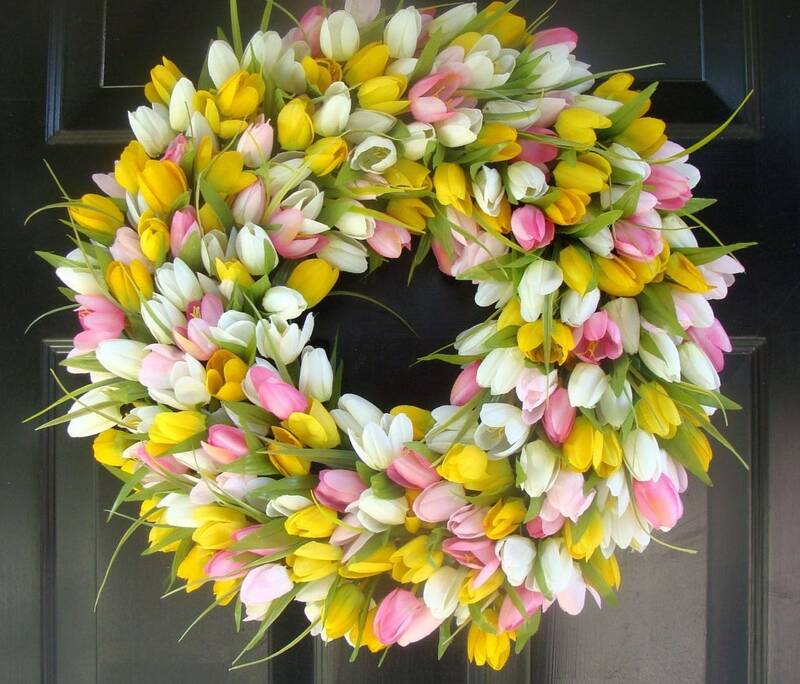 My tulip wreath contains hundreds of beautiful pink, yellow and white silk tulips. 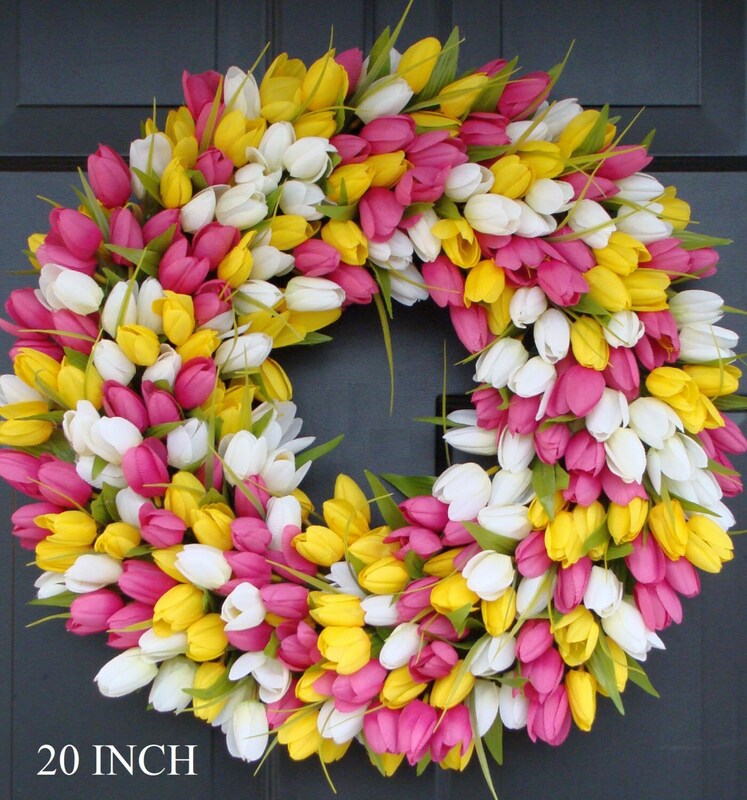 Perfect for a little girl's nursery or outdoor spring decoating, this large wreath will surely brighten anyone's day. 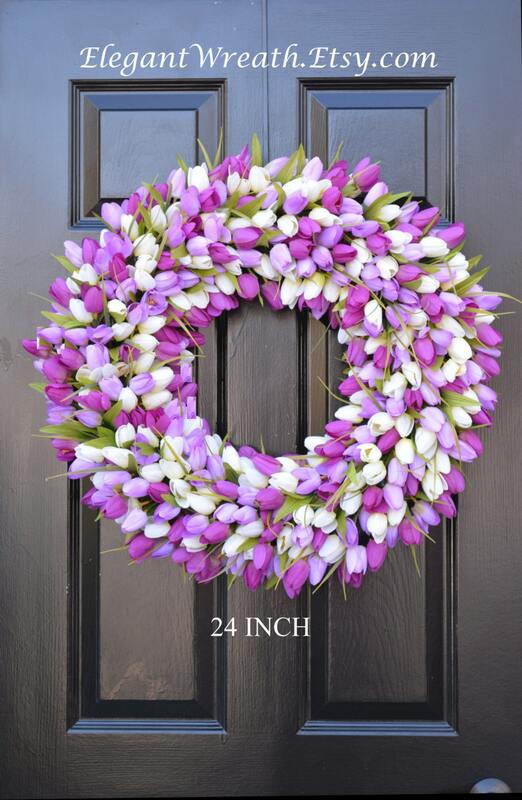 Measures 22 inches round and 5-6 inches deep. The silk flowers were carefully arranged onto a beautiful grapevine wreath backing. A beautiful wreath that will last years. 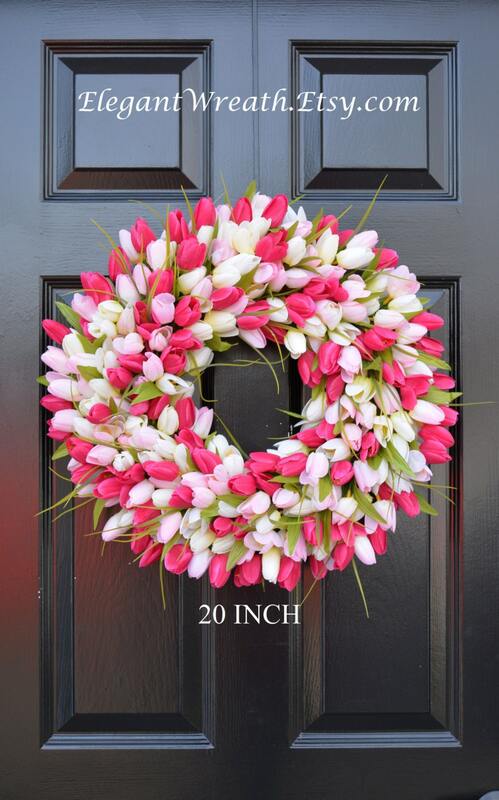 ***See my shop as well for listing of these wreaths that have added ribbon. Love, love, love this wreath! So full and beautiful. Enjoy looking at in hanging on my front door. Will purchase more wreaths in the future! Thanks! Beautiful wreath! Exactly as pictured! Thank you! Love, love, love it!! Seller is highly recommended! I will certainly be purchasing additional items! Beautiful and very timely.